Germander (Teucrium) - A group of low shrubs or perennial herbs of variable habit, with neat dwarf growth and lipped flowers of varied color. Not many are of any garden value. 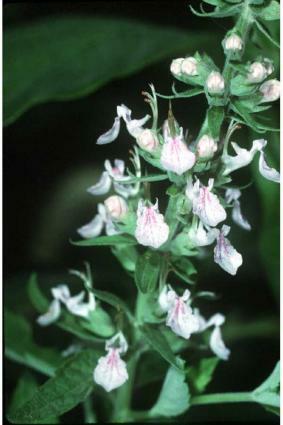 T. Chamaedrys (Wall Germander) is 6 to 10 inches high, with shining leaves and reddish-purple flowers in summer. It is found throughout Europe on walls and rocks, in any light soil, whilst as an edging plant it is useful. Cutleaf Germander - Teucrium botrys L.
Teucrium Fruticans - A shrub from the south of Europe, with white stems clothed with green leaves silvery with down upon the underside, and pale blue flowers. It is hardy in the warmer parts of Britain, thriving in light dry soils in a sunny exposure and shelter from cold winds. Planted against a wall or in good soil near the sea, it grows several feet high. Cuttings. What Herbs Can I Take for Prostate Health? Cat Thyme (Teucrium Marum) - Has some of the habit of the common Thyme, with bright red flowers in summer. Coming from Spain, it is likely to prove hardy only in the southern parts of these islands; then only on ruins, old walls, or in dry chinks in chalk or gravel pits. Cuttings. Teucrium Montanum - A free-flowering rock plant, with numerous pale yellow blossoms on dwarf dense carpets of leaves that cling closely to the stones. This little shrub grows without trouble in a dry place, in rather poor soil. Poly Germander (Teucrium Polium) - A curious dwarf whitish herb, 3 to 5 inches high, with small pale yellow flowers densely covered with short yellow down in June and July. It is suited for sunny spots in the rock garden, and for light free soil, but is only hardy in southern gardens. Seed, cuttings, and division. Pyrenean Germander (Teucrium Pyrenaicum) - A dwarf hardy perennial, with trailing stems 3 to 7 inches high, and purplish and white flowers in dense terminal clusters. The leaves, branches, and stem are thickly covered with soft silvery down. It is suitable for the rock garden and for borders. Teucrium Purpureum - A quaint, rigid, evergreen dwarf bush, 6 to 9 inches high, its erect twigs, studded with bright rosy-purple flowers, giving a bit of good color late in the season. Seed, cuttings, or division. T. hyrcanicum, T. lusitanicum, T. orientale, and T. multiflorum are also noteworthy.